Quick dinner in the Brooks Range while hunting for sheep in 2007. Looking forward to hunting season this year. 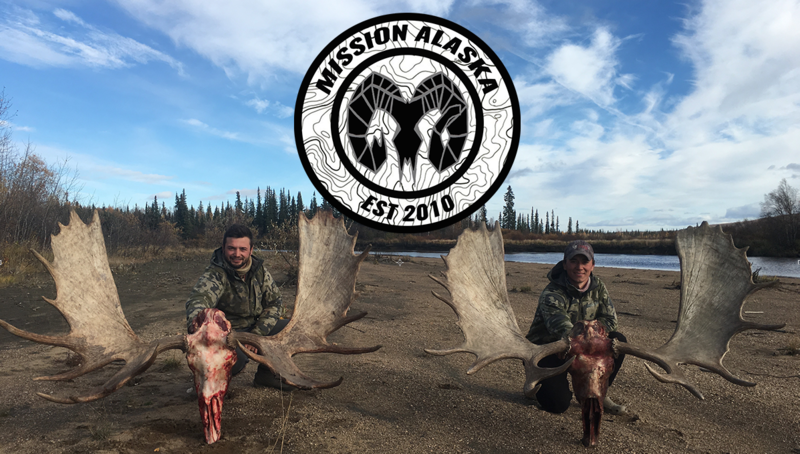 Mission: Alaska Slam – To harvest moose, sheep, grizzly bear, caribou, and black bear, un-guided, in one Alaskan hunting season. I have attempted the Alaska Slam Mission before in 30 days(video link);however, was not successful. This took me back to the drawing board for more planning. I have since made my own custom Alaskan hunting vehicle complete with bunks, game processing, deep freezer, and even a handicap lift to pick up heavy loads of game meat. This will allow me to take my Alaska hunting to a new level. Is the Alaska Slam New? Has it ever been done before? There is a term called “columbusing“, which is the art of discovering something that is not new. Just as Columbus “found” America when in reality the Native Americans roamed the lands long before, people today are “finding” new ways of doing things in the modern era. Outdoorsmen and sportsmen’s are groups of these modern day explorers, who dream of discovering beautiful places still wild and free. Residents of Alaska have an amazing opportunity to explore these last remaining wilderness year round through hunting, fishing, and trapping. Vast open land to pursue big game. Local Alaskan hunting legends chase sheep on uncharted glaciers and explore areas never believed possible. Its the opportunity to find “new” hunting territory, discover “unknown” valleys, climb “unnamed” mountains, and navigate wild raging rivers that draws modern day sportsman to the last frontier. As opposed to traditional pioneers using dugout canoes, moose hide rafts, and long foot travel, modern day sportsmen can travel the vast landscape by air plane, ATV, horse back, power boat, raft, packraft, bicycle, vehicle, motor cycle, on foot, and etc. To say the least there are a few ways to travel around and columbus your own little chunk of Alaska putting your feet into your own “no-mans land”. Hunting in Alaska is a culture, a culture that I share and am deeply connected to. There are many different sub cultures within the hunting community such as subsistence hunters, meat hunters, trophy hunters, observers, etc but for now we will generalize the Alaskan hunting culture. In todays modern society, Alaskan’s afforded the opportunity to live in a semi-urban environment and purchase groceries from the local Fred Meyer(or Cubbies) grocery store. I’m no different, I buy groceries, I just try to keep my purchases coming from the plant based whole foods sections. I like to supplement these purchases with my own organic red meat harvested from the land. There are also Alaskans who rely solely on hunting their own red meat, growing their own produce, and or harvesting/gathering goods to provide sustenance through the winter. Locals from all around the state share something in common, they fill their own freezers with the abundant bounty of wild game harvested from the land. Resident hunters in Alaska, while filling their stomaches and freezers with raw groceries may have unknowingly completed the Alaska Slam. The Native American populations of Alaska have depended upon thriving big game populations and fish species as a way of survival and life. They have traveled this land and rafted the same rivers we raft today with modern rafting equipment, only difference is the Athabascan rafts were made of the hide of a freshly harvested moose. We have the advancement of plastics and man made materials to help us find new ways to re-explore and pioneer new methods in Alaska. But are those methods all that new or are we just modern day Columbus imitators, or in our particular case “modern hunters”? My goal is to escape the grocery store(as much as possible) and source my meat on my own terms. mainly using stick and string, and bullet when necessary, on the adventures of a lifetime. Provide food that promotes a healthy active lifestyle while still connecting to the roots of humanity as a hunter, gatherer, and provider. How am I columbusing? The Alaska Slam is nothing new, non-residents and residents of the Alaska have the opportunity to obtain the Alaska Slam every year. There is no banners, or parties for those who are successful or those who have accomplished this in the past. What you get out of harvesting any of the Big-Five species is a plethora of beautiful game meat to fill your freezer and more potlatches than you can possibly plan for your clan in one year. In my opinion the meat value is the trophy value. After all, you can’t eat antlers or horns very easily…. Its a goal to strive for, a challenge for the thrill seeker. This is not for the faint of heart and if your a non-resident certain species require a guide. Attainable yes, according to the Alaska rules and regulations you can harvest all of these animals the caviot being there are specific rules and regulations in place for each animal. My reasons for the going after the Alaska slam is that I want to fill my freezer on my own terms, harvesting any big game animal in one season is a blessing let alone five different species. You have many opportunities to hunt big game and explore different parts of the state you just have to know all of the rules, regulations, and have a solid game plan for departure and return. Am I doing anything new in the hunting culture? The indians were doing it long before the advent of gunpowder and western settlers. Like I said, many have completed the Alaska Slam and didn’t want anything from the accomplishment other than having food for the table for their families. The real reason I head a field is for the adventure, the best part of the hunt is simply immersing yourself in the outdoor experience. But we as explorers and modern day adventurers will always dream of columbusing our own destinies. If your a hunter from the “lower 48”, find yourself reading this article Alaskan adventures are not out of your budget….You can book a 30 day trip to Alaska and start meticulously planning like a mad man for the adventure of a lifetime, and keep the hunt costs down. Non-residents can harvest moose, black bear, caribou, black tailed deer, and wolves all without a guide so get out their and get after it! If you have planned and executed a DIY back country elk hunt, you can come to Alaska and hunt moose nearly the same way. Bottom line, there still exist massive opportunities to hunt the wild AK for your dream animal. 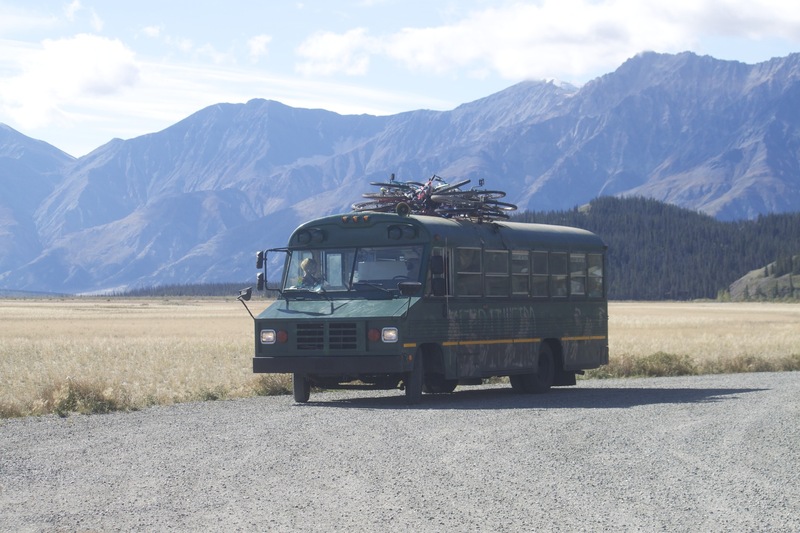 I am chasing the Alaska Slam again hopefully filling my freezer, this year I am doing it out of the fully customized Mission Alaska “Bus-Tank”…..Take that “Colum-bus”…. Adventure is out there, are you? Make sure to check the regulations before heading afield: its a good idea to keep a copy of the Game Regulations with you at all time on the hunt. Know the law and enjoy the wonderful opportunity we have as hunters. The links below will take you to the Alaska department of fish and game website where you can buy your hunting licenses, tags, apply for permits, etc. This one is for all of the out-of-staters……Self-guided hunting IS possible, it’s much more difficult but you with the correct planning an Alaska DIY hunt is possible.